No one deserves liberation from the constant torment more than Shirleen; she has the highest pain threshold of any human being I’ve ever met. Therefore, when she admits to a high level of “discomfort,” shall we say, you know it must hurt like HELL. Some of these apparatuses have JOYSTICKS; that’s too cool. Part of the device is affixed into a small nook of painstakingly scraped-out bone somewhere above Shirleen’s lumbar fusion (and I didn’t think she had any more bone in her spine – I guess I was mistaken). The other portion is placed in her “flank” (their phrase, not mine). There are leads that extend from the device that help stimulate the key pain-causing nerves. They determine this placement with a trial run device (which she already had implanted and removed). Once the surgical wounds heal, the joystick or controller is used to tune in specific frequencies that cancel the pain impulses. Oh, YES – this is superlative SCIENCE. Hearty congratulations on finally jumping through all the hoops to receive your robot implant, Shirleen (I should inform everyone that there has been no actual jumping, per se – this would have not only been ill-advised in terms of increasing potential physical damage, but prohibitively and excruciatingly torturous). No one could be more deserving. And, just in case, please keep us apprised of any possible super-powers. There’s got to be a SLIGHT chance, right? 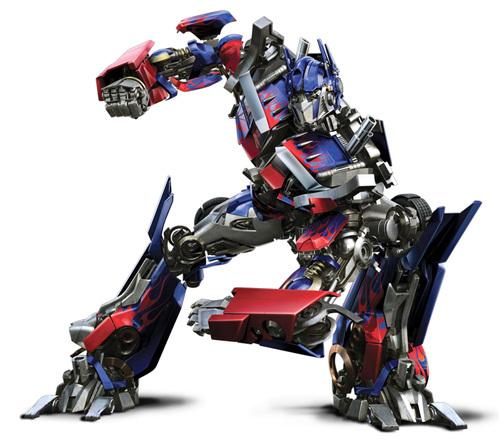 *I only know this “Optimus Prime” crap because of the TRUTH – the inside scoop about the Transformers. This film has been ostensibly marketed in conjunction with the sales of children’s toys. Rubbish. The target demographic for this movie is MEN IN THEIR THIRTIES! They know everything about the “epic battle” between “the heroic Autobots and the evil Decepticons.” And while they are bathing in the nostalgic glow of childhood reminiscences, their spouses, partners and/or girlfriends sit baffled – trying to figure out which robots are the “bad guys” or the “good guys.” I’ve had first-hand reports of this phenomenon from trusted sources. 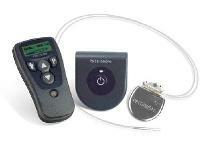 I was so horrified/fascinated by this device that I went to the Boston Scientific website to learn more. I was trying to figure out how big it is because in your picture, it looks downright enormous. The best I could find is that it is smaller than other models and that: “Depending on your body shape and size and the implant location, you may see or feel the outline of the implant under your skin.” Creepy! Seems like a good idea though. I hope she has the rechargeable variety, because apparently there are some models where you have to get surgery whenever the battery runs out!